In the West, craft beer is still booming. At first it felt like it might have been merely a short-lived craze pioneered by hipsters, but the industry will not stop growing. In the UK, 520 new microbreweries opened just last year. In the United States, the industry now holds a 21% market share. This boom has sent shock waves across the world, and they have reached Southeast Asia. Ho Chi Minh City (a.k.a. 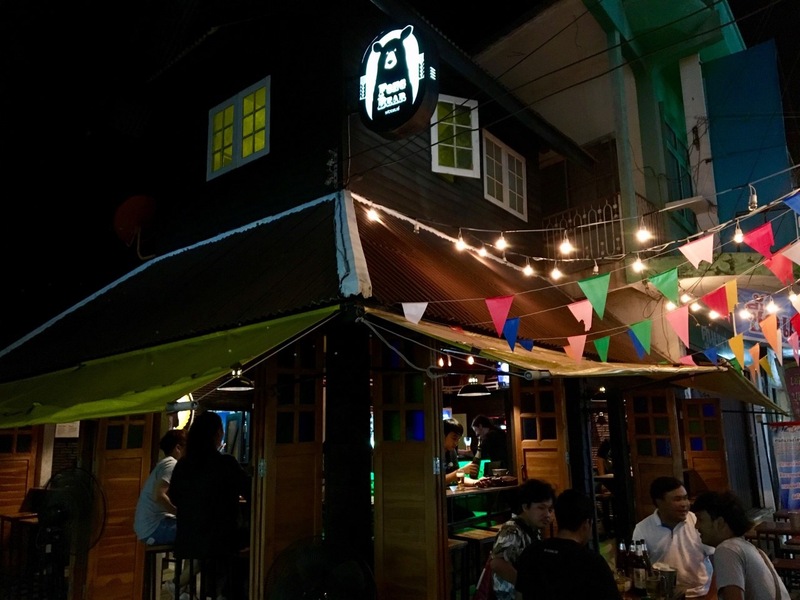 Saigon) and Bangkok caught on a long time ago; Pasteur Street in Ho Chi Minh is peppered with craft beer bars and Bangkok's first microbrewery (called Tawandang) opened in 1999. However, it is only just recently that Thailand's provinces, along with the country's next-door neighbours, caught the craft beer bug. Brewing beer in Thailand actually only officially began in 1933, when Boon Rawd Brewery acquired a royal warrant. They started to make Singha (pronounced 'sing'), a lager that is everywhere in Thailand today - as are Chang and Leo. These lagers colonised Thailand's bars and restaurants a long time ago and I don't think craft beer will ever topple their reign. However, certainly amongst Thailand's younger drinkers, craft beer is putting up a good fight - even despite the fact that underground home brewing is illegal here. 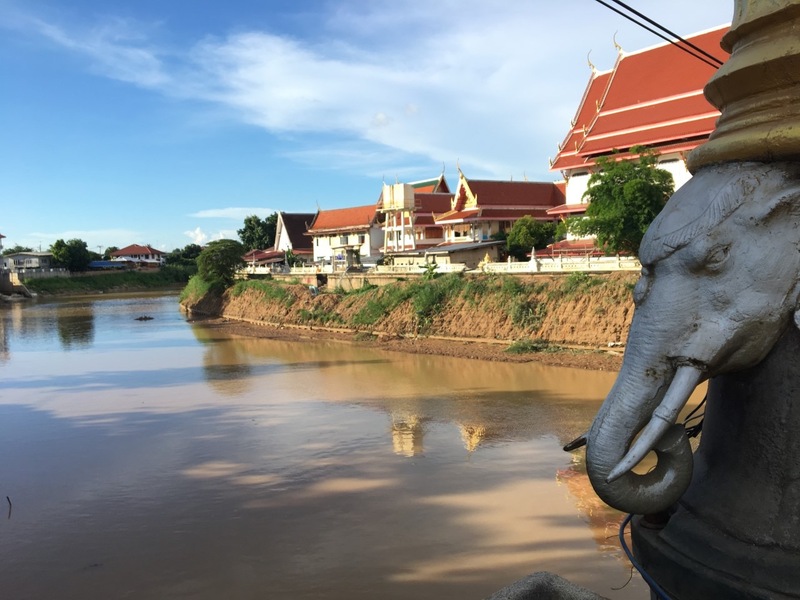 A few weeks ago, I spent a couple of days in the small provincial town of Sukhothai. I knew it was tourism's low season but, even then, the near-total lack of other backpackers was astonishing. 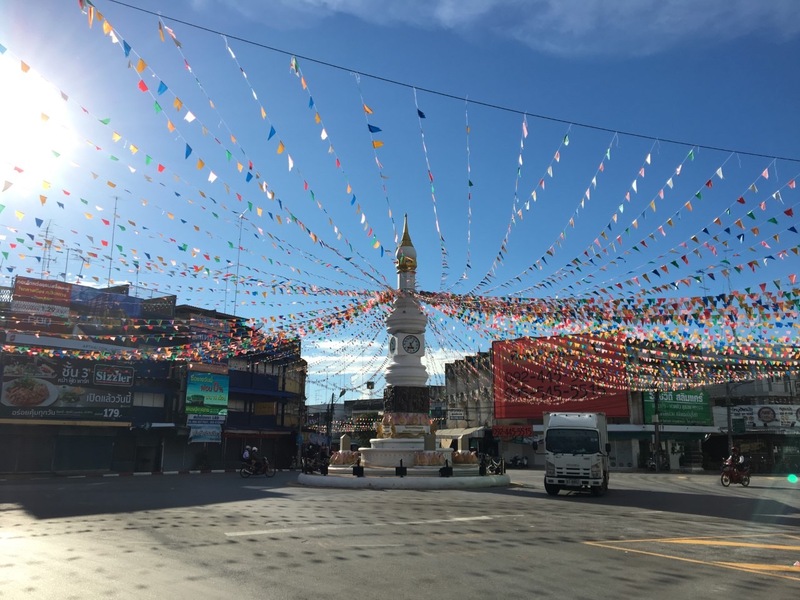 I'd just left a very lively Chiang Mai and I was baffled by how empty it all felt. It's not as if Sukhothai is unknown; it's recommended by Lonely Planet and it boasts a beautiful historical park of lakes and temples. 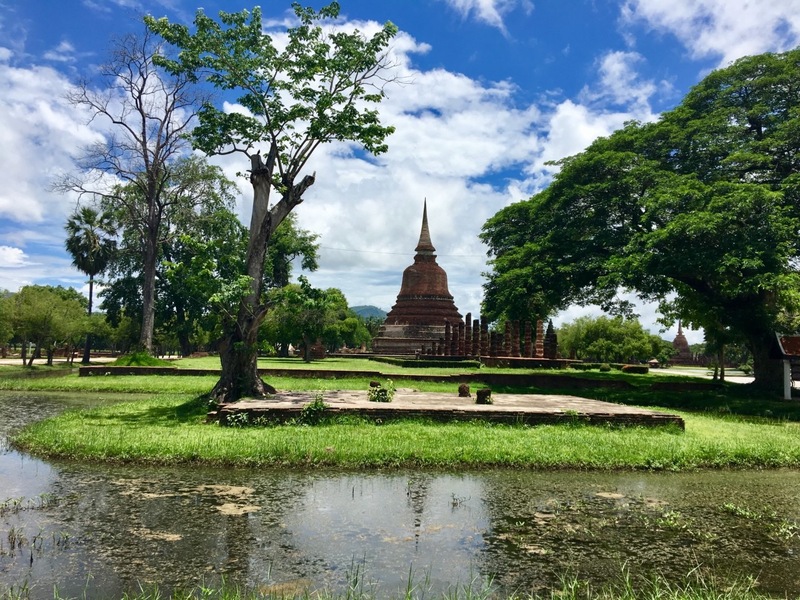 When I arrived at the bus station and wasn't swamped by taxi drivers asking me where I was going, I could see that Sukhothai would be quite a different experience. This provincial way of living is what the people of Bangkok call 'slow life' - although I'm not sure if they say it with a sneer or a smile. I was fortunate enough to meet four other travellers on my first night in Sukhothai, probably the only other tourists in the town. The night market was not the typical cluster of clothes and trinkets stalls gunning for tourists' custom, but rather a handful of food places busied only by locals and a couple of fruit sellers. The overwhelming absence of young people in Sukhothai, both local and foreign, was sort of fascinating, but it would have become suffocating if I'd stayed there for more than two days. There was no nightlife or evening "buzz". Imagine our surprise, then, when we stumbled upon a craft beer bar tucked away down a side street. The building looked a little like a Canadian log cabin, albeit decked with lights and bunting. I immediately spotted several groups of trendy-looking teenagers sat around wooden tables with glasses of ale. So this was where the youth of Sukhothai were! The bar was called Fong Bear, a title that needed explaining to me by the bar's owner, Mat. 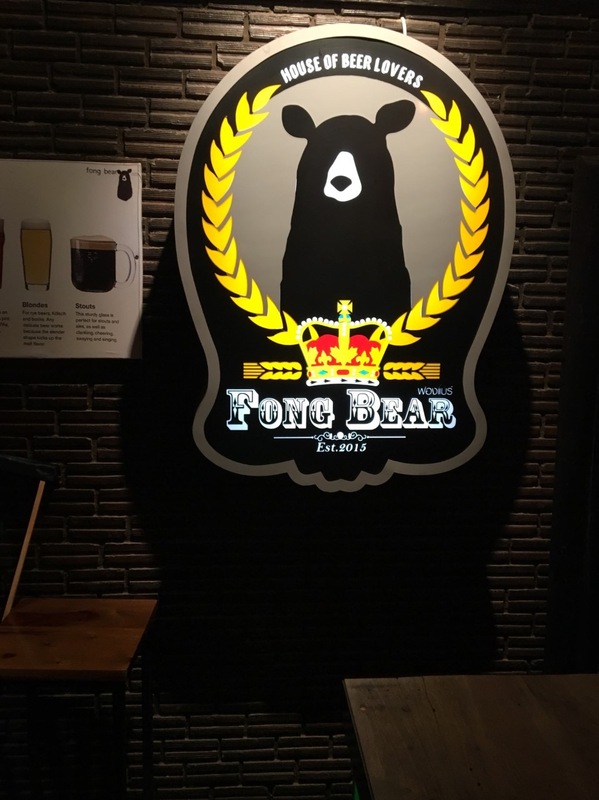 'Fong' is the Thai word for the head of foam that sits on top of a pint of beer, and 'bear' is there simply because, well, it sounds a little like 'beer'. Until this discovery in Sukhothai, I had never realised how much craft beer was growing in Thailand. The ale scene in Bangkok had escaped me and I had assumed Thailand was almost exclusively lager territory. I learned from Mat about some of the most exciting microbreweries in his country. Down in Phuket, the Full Moon Brew Work are spearheading this spike in craft beer's popularity. Most impressively, they have completely understood and embraced the folkloric traditions that have become wrapped up in ale-branding in the West. 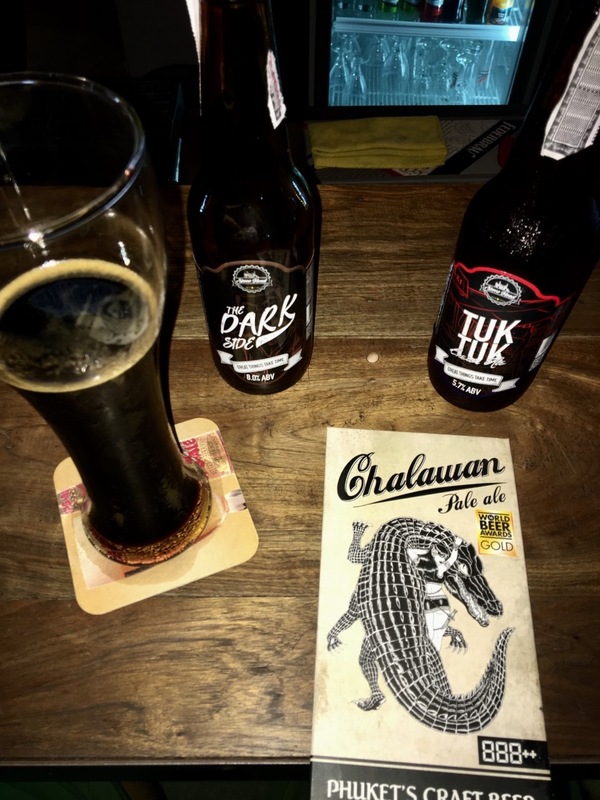 Their top beer is the Chalawan Pale Ale and, along with its beautiful reptilian label, the beer comes with a backstory about Chalawan, Thailand's mythical 'King of the Alligators'. Lamzing is probably the country's most adventurous microbrewery. Imitations of 'traditional English ale' are everywhere in Southeast Asia, but Lamzing don't have time for that. They are pioneering the creation of uniquely Thai beer. Their 'Sticky Mango' beer is based on the popular Thai dessert of mango & sticky rice. I was lucky enough to try their 'Morning in Monsoon', a dark ale flavoured with coffee and coconut. I had feared it would be too sweet and sickly but it was delicious. I only wish I could get it back in England. Stone Head are also pretty worthy of note, particularly their delicious 'Tuk Tuk Cream Ale'. I drank their 'Dark Side' stout (it was positively black) and it was one of the best beers I've ever had. Thick and rich and heady and everything that Singha isn't. I was delighted to discover that Thailand has a craft beer industry. It's a great platform for creativity, in the brewing as well as the branding, and this country has taken to it like a duck to water. The locals love it, not just in Bangkok but also in the provinces. The enthusiasm for craft beer is spilling across the borders too; only in January of this year did Myanmar see its first microbrewery open, 'Burbrit' (a portmanteau of 'Burma' and 'Britain'). And 'Burbrit' captures the mood entirely. Southeast Asia have embraced a British tradition and made it their own.